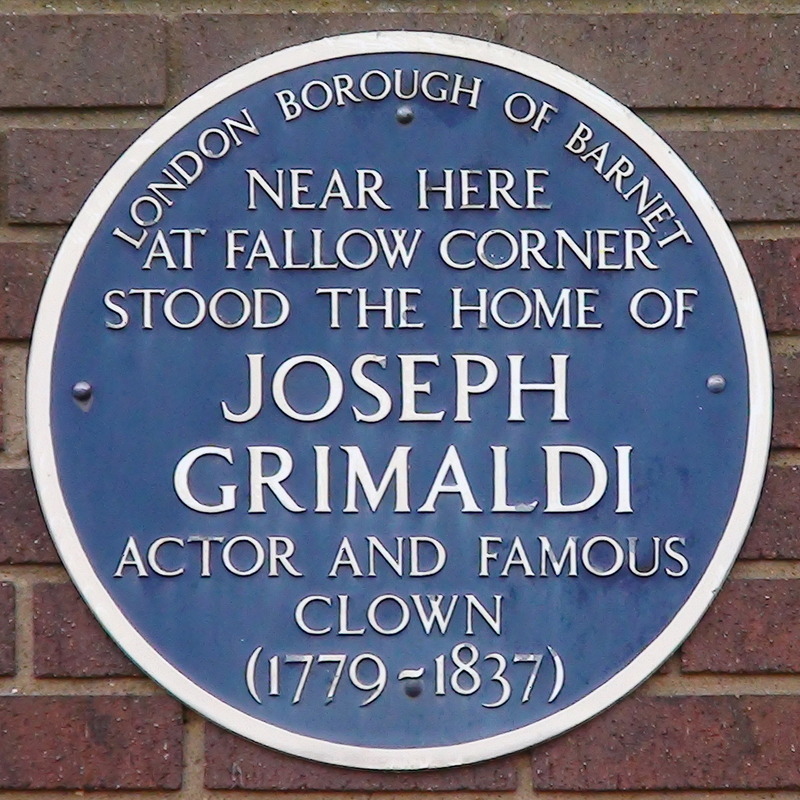 Near here at Fallow Corner stood the home of Joseph Grimaldi, actor and famous clown (1779 - 1837). Dickens re-edited Grimaldi’s memoirs 1837-8. He worked from Thomas Wilks' edited version of Grimaldi’s original, which is now lost so the veracity of the memoirs is uncertain. 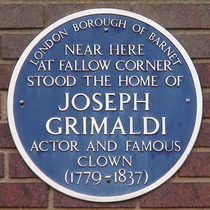 It is likely that it was through this job that Dickens first came to know this area, even though Grimaldi was dead by the time he got involved in the project. Dickens later came to live nearby. Charles McCall, DAEdin, ROI, NEAC, 1907-1989, artist, lived and died here. St Olave's Grammar School occupied this site, 1855 - 1967.